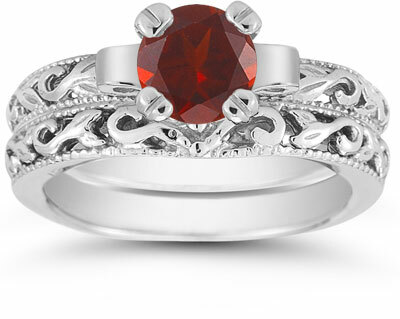 The rich color of scarlet and the beauty of sterling silver are combined for a lavish look in this bridal ring set from Apples of Gold. Two bands of sterling silver are crafted to showcase art deco styling. These twin works of art come together to create a ring set worthy of any bride. The centerpiece of the bridal ring set shows off a gorgeous garnet gemstone that measures 6mm for the perfect gemstone size and flawless style. 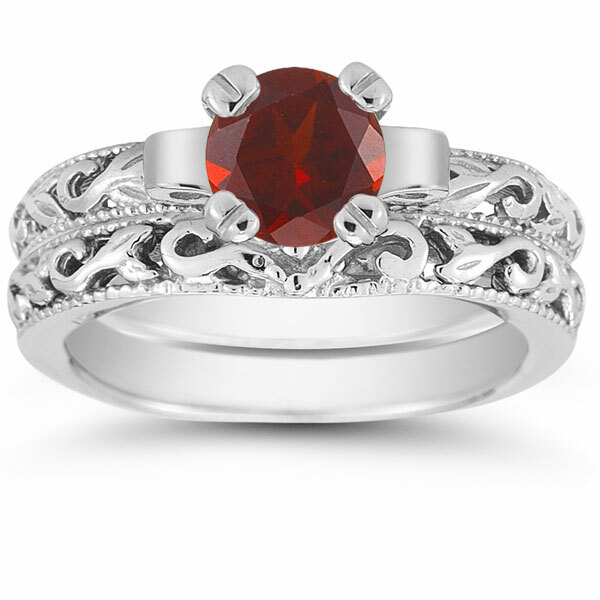 We guarantee our Garnet 1 Carat Bridal Set in Sterling Silver to be high quality, authentic jewelry, as described above.